Before I get on with today's post, I just want to say thanks to everyone who has left their great comments on my past posts, and for the well-wishes for me and my new home! Thanks! Okay... after I posted one of Leonard Nimoy's albums, I got some feedback asking for another album. I think I mentioned in the previous post that I was lucky enough to buy the entire lot of five albums on eBay (plus a Star Trek bloopers record)! I don't know what I value more - these five albums of his, or my autographed copy of his book "I Am Spock". Now that I've mentioned that, I have to digress a little and tell you about the sci-fi convention I went to a few years ago where Leonard Nimoy was the super-special guest. I went ahead and bought the VIP ticket so that I could be in the group of fans that would get his autograph. We could take one item and he would sign it, but not personalize it. That would've been nicer, but I was happy enough to just be able to stand across a table from him and have him touch and sign my copy of his book! I think after that day, I pretty much thought that I can now die happy (although, I'd rather not die just yet!). On with this post - I've read that this is the hardest to find of the Leonard Nimoy albums, so I hope you are not disappointed. In addition to the usual covers, he also sings a couple of his own compositions. What a treat! I really like listening to Leonard - it really relaxes me. As the liner notes say: "This album is Leonard Nimoy. A very refreshing experience." 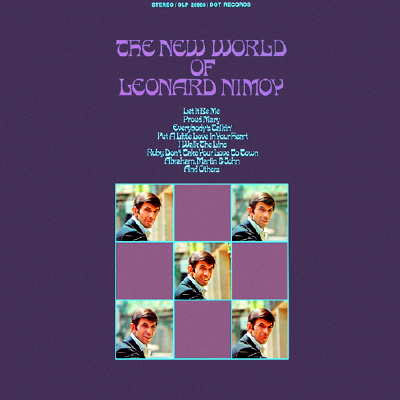 My favorite Leonard Nimoy song is The Ballad of Bilbo Baggins from his album, The Two Sides of Leonard Nimoy. I'm not just a Trekkie, I'm a Ringer, too! Thanks for this one! I have a few of the songs from it on "Spaced Out: The Very Best of Shatner & Nimoy," but I have never heard the whole thing. I am really looking forward to it. BTW, do you have "The Two Sides"? I only have a couple songs from that as well, so if you could post it, I would be sooo grateful! I have to say that my favorite Nimoy album is "Mr Spock's Music From Outer Space," just because it's mostly sung/spoken in the character of Spock. 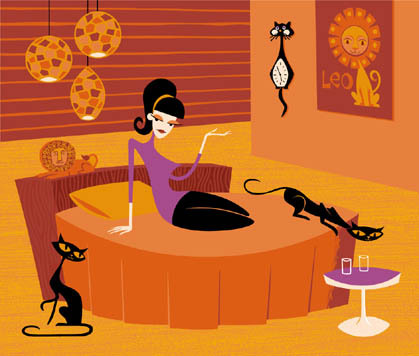 Plus, it's got some amusing lounge-y stuff. A kitchy classic, very funny. So glad you have a happy home. Keep in touch. I will. Glad to see your back in action Esther. Blessings to you and the family in you fine home. P.S. It is reported that Leonard charges 75 dollars at conventions for his signature.